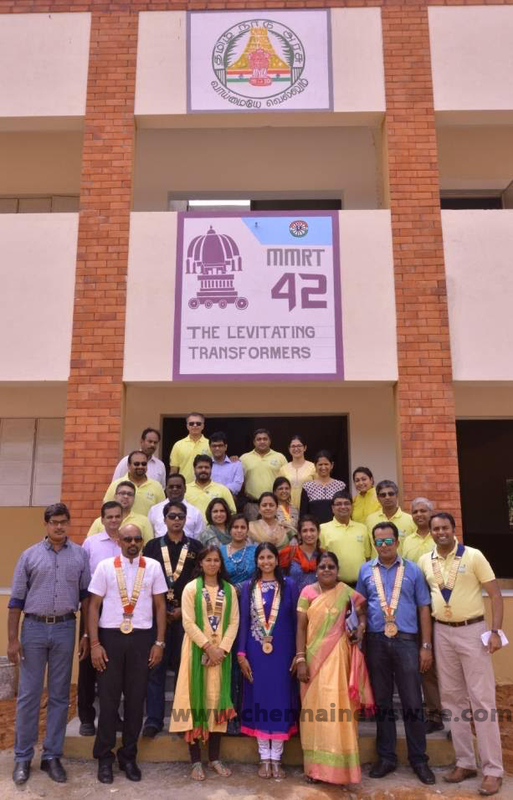 Madras Midtown Round Table – 42 (MMRT – 42) has completed the construction of 18 more classrooms, a toilet block and stage costing Rs. 1.45 Crores at the Government Higher. Secondary School Pallikaranai, Kanchipuram District. With this, a total of 30 rooms have been completed involving a outlay of Rs. 2,10,00,000 (Rupees Two Crore and Ten Lakhs). The Tamil Nadu Govt. has contributed Rs. 55 Lakhs under Self Sufficiency Scheme for this project captioned ‘Freedom Through Education project’. More than 2000 children were studying under the trees due to lack of classrooms and MMRT 42 took upon itself to build pucca classrooms in 24 months. The classrooms were officially inaugurated recently by Tr. Deepak Manu Menda, National President, Round Table India, in the presence of Cr. Soumya, National President, Ladies Circle India, Mr. C. Sakthivel, HR Head, Timken Foundation, Mr.Vasudevan, Founder & MD, Equitas, Mr. Paneerdoss, Pallikaranai Councillor, Mr.Rajendran, PTA Leader, Tr. Suman Voora, National Vice- President, Round Table India, Tr. Shriram Duvvrri, Area 2 Chairman, and representatives from Rotary Clubs. 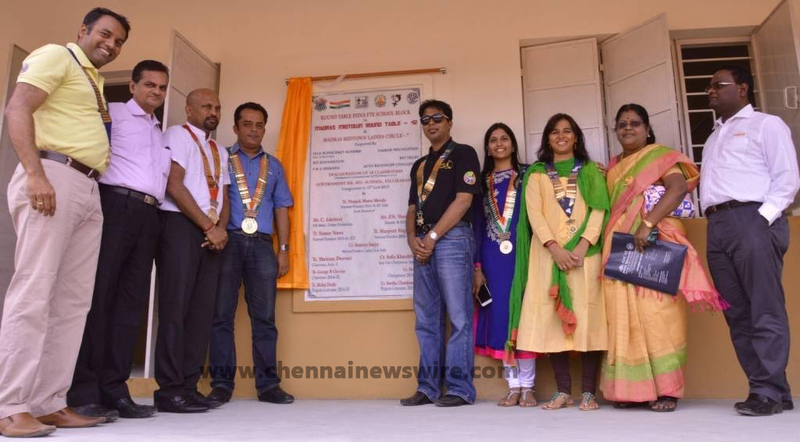 According to Mr. George B. Cherian, Chairman, MMRT – 42, “The most important part of this humane project is the big support from the Government of Tamil Nadu through the Self Sufficiency Scheme (SSS). M/S Timken Foundation contributed Rs. 38 Lakhs for six classrooms. We also raised funds through Auto Rickshaw Challenge where we are able to find resources for 5 classrooms. We thank Ladies Circle, Round Table India Trust, Round Table India Foundation, P&H Shiksha for joining hands in building 9 Classrooms. One of the major projects of RTI is “Freedom Through Education”. Round Table India launched this project in 1998 to provide basic infrastructure for primary education in Rural India, reaching out to about one million children. Round Table is an organisation of non-political and non-sectarian young men between the ages of 18 and 40. Their aim is to promote service, fellowship and goodwill in National and International affairs. It has around 200 Tables located in 72 cities and towns across India, comprised of businessmen, entrepreneurs, technocrats and professionals. The National Secretariat, the hub of all activities of Round Table India, is located at Chennai. Madras Midtown Round Table 42 was formed 32 years ago and has grown from strength to strength over the last 3 decades continuing a long tradition of bonding, friendship and hospitality. MMRT42 has been active in both Area 2 and in the National forum over the years.